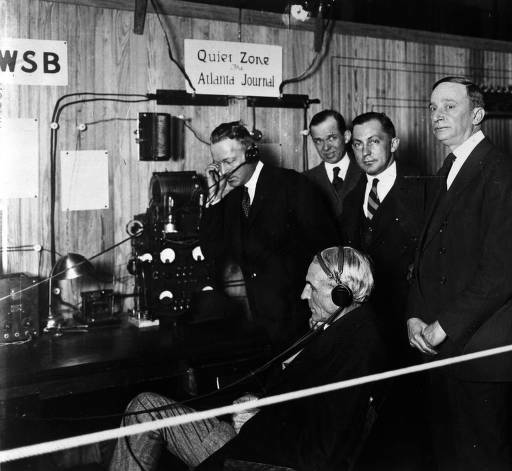 The new station attracted attention and important visitors, including Henry Ford (seated). The beginnings of radio are a story of multiple intersecting technologies coming together. Hertz discovered electromagnetic waves. 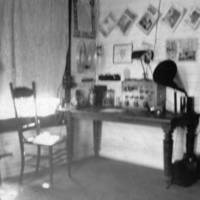 Marconi developed one-way communication through wireless telegraphs. De Forrest invented the “audion” vacuum tube. 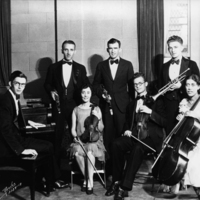 The combination of these and other developments led to a breakthrough - the clear transmission of the human voice. 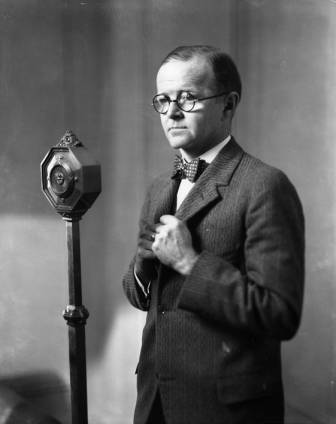 With the Christmas Eve, 1906, transmission of voice and music by Reginald Fessenden, radio broadcasting as we now know it began. 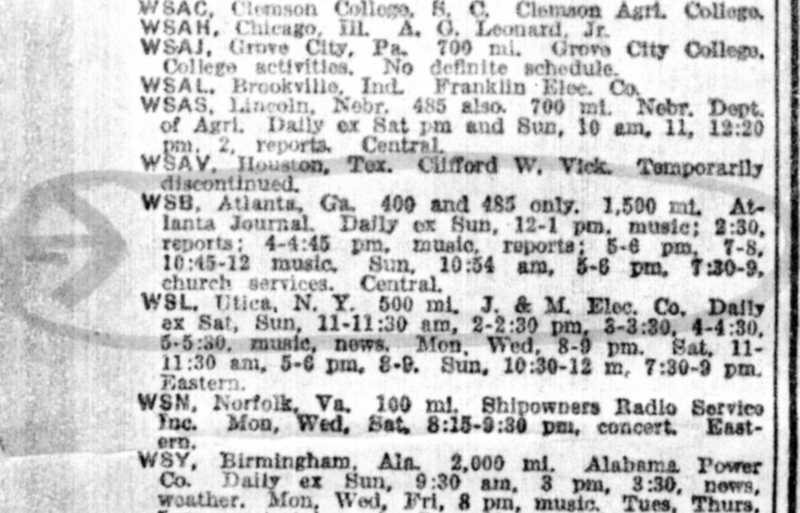 In March 1922, the Atlanta Journal licensed the first commercial radio station in the south under the call letters WSB. 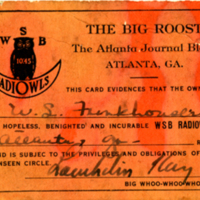 The “Voice of the South,” as it was called, broadcast from the fifth floor of the Journal building on two frequencies - one for entertainment, and the other for news and market information. For weeks leading up to the station’s start, the Journal published instructions in the newspaper on how to build crystal-set receivers. 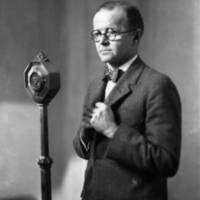 In the early days, most stations did not have regular programming schedules, often broadcasting for fewer than 8 hours a day. The “invisible audience” of listeners could tune in for a mix of news, music, and commentary from the announcers. As three more stations began in the next two years, the “invisible audience” expanded. 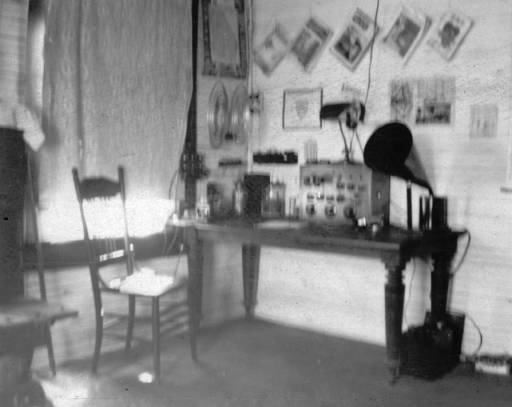 Radio came to Middle Georgia when Mercer University founded WMAZ (Macon) in 1922, primarily hosting sermons and speeches by divinity students. That same year, WPAX (Thomasville) began playing phonographs from the owner’s garage by holding a microphone close to a Victrola. WGST (Atlanta), a project of the Georgia School of Technology electrical engineering program, became the fourth station in the state in 1923. 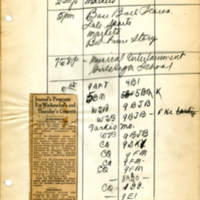 Station engineers kept careful logs of broadcast activities, noting the time and content of the broadcast. 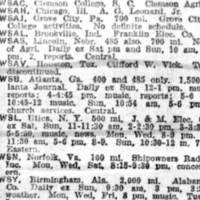 This was one of the earliest logs for the new station WSB. 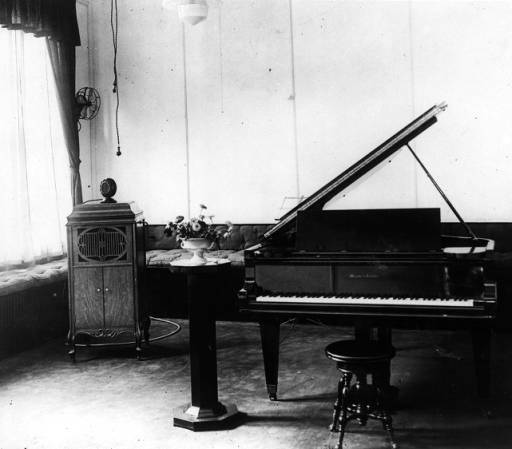 The original WSB recording studios in the Atlanta Journal building were set up for live performances. 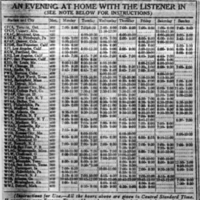 Newspapers published radio schedules so listeners would know when to tune in. Broadcasts were not continuous as they are now. 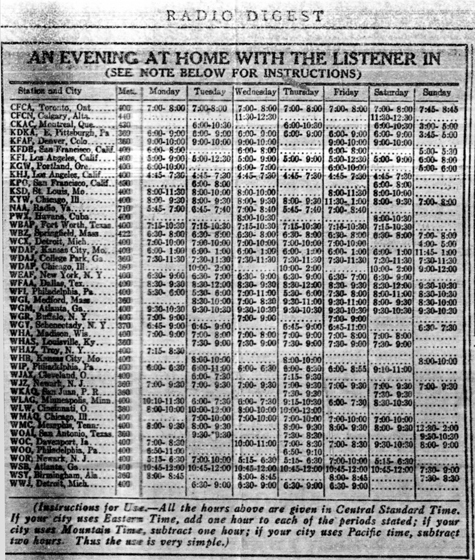 This list of station schedules gave listeners a more detailed listing of what to expect. 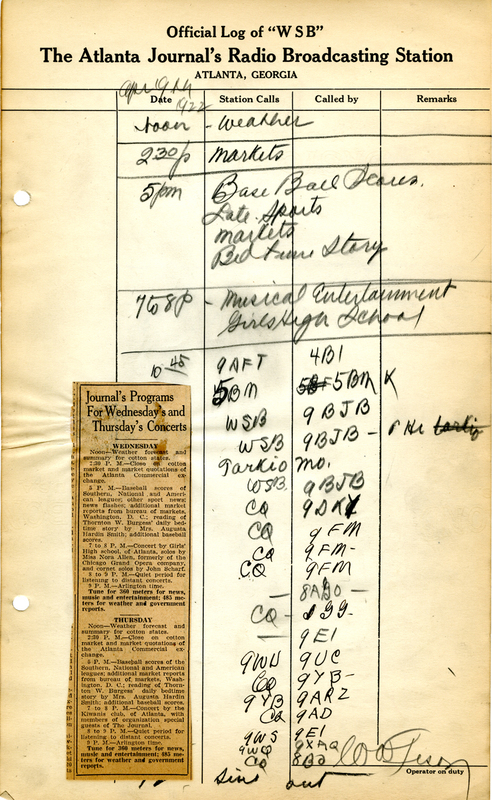 WSB’s schedule included music, reports, and church services. 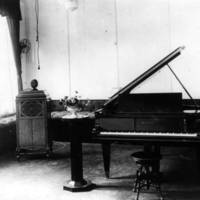 Before stations started playing sound recordings, musicians played live in the studio during broadcasts. 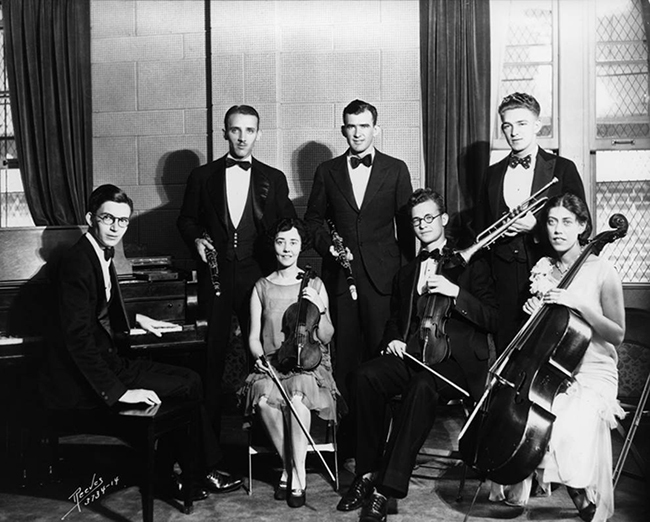 Pictured here is Marcus Bartlett with the WSB Radio Orchestra. 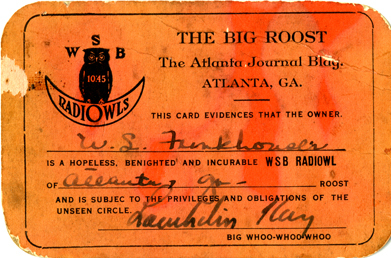 Avid WSB listeners could join the WSB Radiowls, a special radio fraternity complete with membership cards, stamps, and identifying call. Early radio receivers were often homemade through kits and instructions printed in the newspaper.